Every four hours, scientists publish a research paper about autism, but how can this enormous volume of research help you? We have an app for that. Brought to you by a team of interdisciplinary scientists, the Autism Decoder app is a new mobile interface that describes the latest autism research findings in easy-to-understand writing. You can flip through research summaries chronologically or by your category of interest. You can even click a simple link to the original publication source. With Autism Decoder, we will deliver autism research snapshots to the palm of your hand, empowering you to make informed choices. 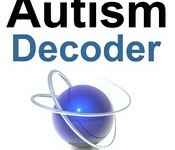 What are Autism Decoder’s key features? Why do I need Autism Decoder? The popular media is constantly delivering autism news stories. How can you get the accurate scientific findings rather than sensational news that usually lasts until the next headline? Our team of scientists sifts through the research to bring the relevant science news to you. By providing context to a research advancement, Autism Decoder can empower you to make informed, rational decisions based on scientific knowledge.